I really wanted to like this foundation, I really did. Do I? I don't even know myself. 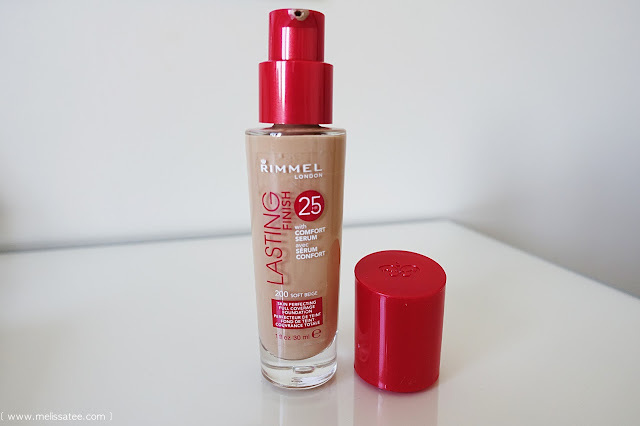 Today I will be reviewing the not so new Rimmel Lasting Finish Foundation. The foundation itself isn't new, but Rimmel did repackage one of their own foundations. 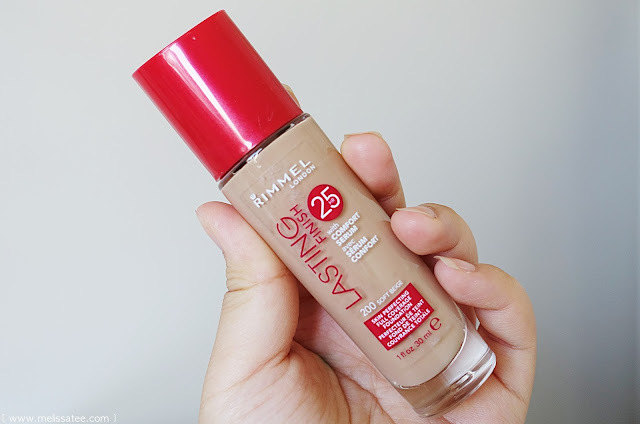 I was in the market to purchase a new foundation for the summer, and I heard some decent reviews on this one, so I made the jump and purchased it. 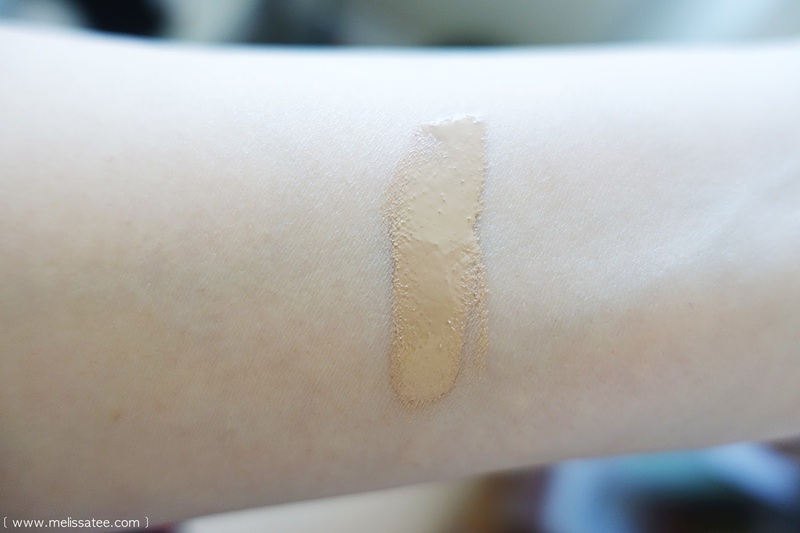 This foundation claims to last 25 hours and has full coverage. It's suppose to be sweat, heat proof and transfer proof. I took it to the test and wore it basically all day. 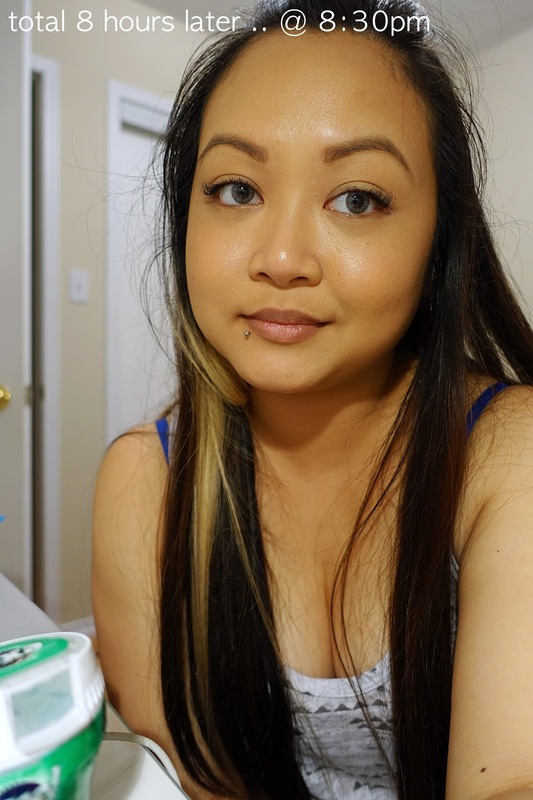 My intentions with this foundation was that it would last through sweat and heat, because I'm in the market for something I can wear when I plan to go to Vietnam again. Two years ago on my trip, I didn't wear make-up at all, because I couldn't stand my make-up melting off my face. And because of that, I barely took any pictures of myself on the trip! The foundation looked super yellow in the bottle, but blended in to my skin nicely. 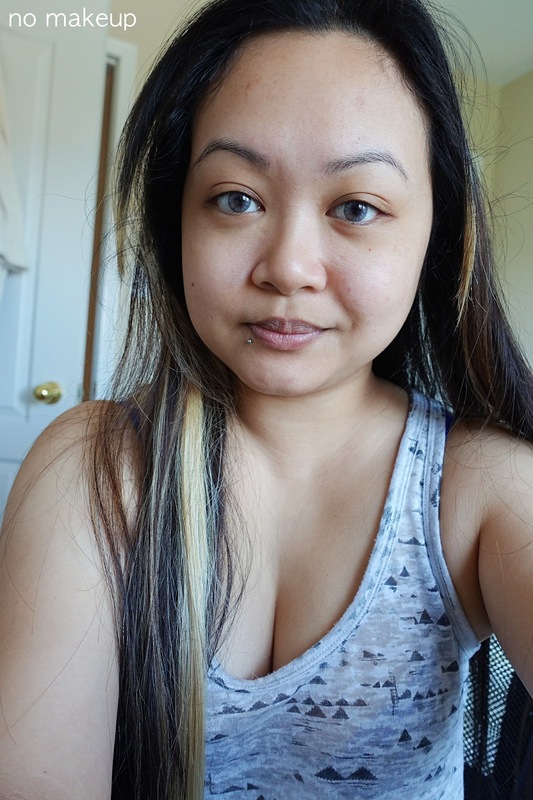 The dreaded no make-up photo. 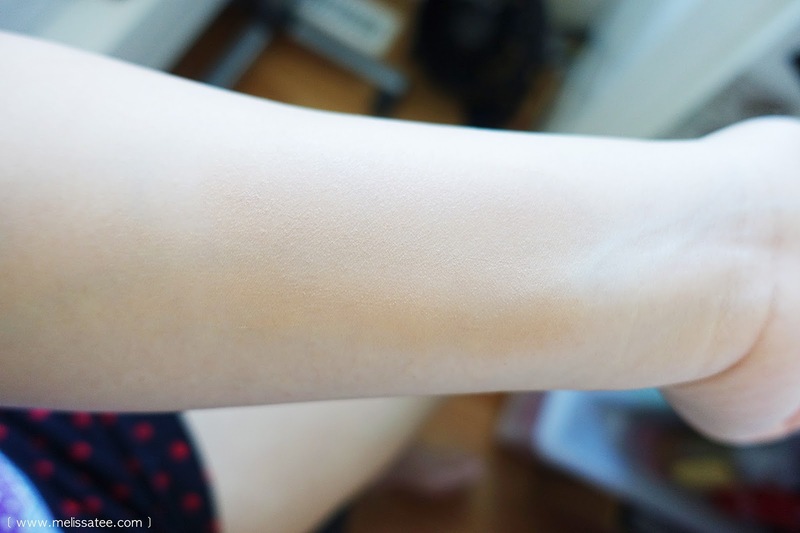 The foundation actually matched my skin very nicely, and set fairly quick. I found it to be more medium coverage that was a bit buildable. 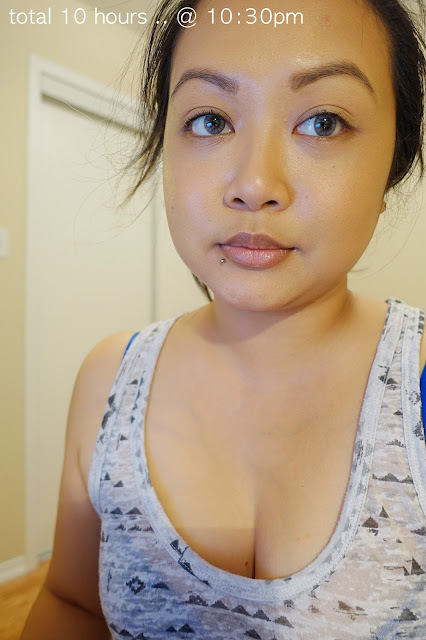 It actually made me look very light compared to other foundations I'm used to. 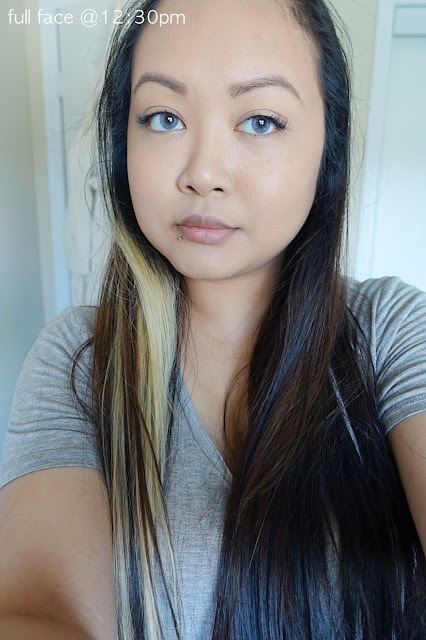 I did apply a setting powder and also a setting spray, that's why my face looks a tad bit shiny already. After my shift at work. Wow it actually still looks great, I don't look shiny at all ..
UNTIL YOU GET CLOSE UP. Oh my god, my skin looked TERRIBLE. 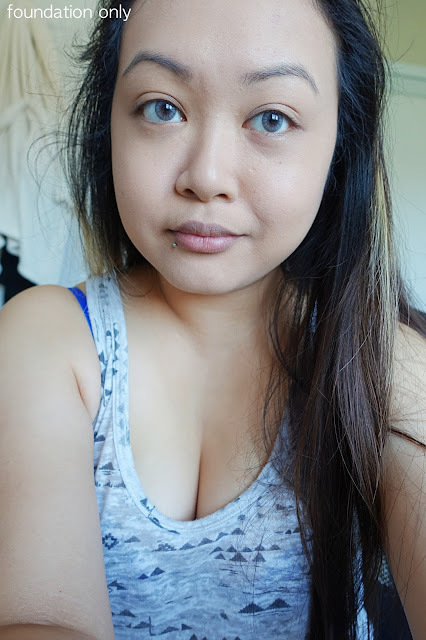 I have oily skin, and it managed to make my skin look DRY. It's crazy, my skin looks dry AND oily at the same time?! It also kind of looked like it was separating, ugh gross. Anyways, I kept it on for the rest of the night to see if it would change. Total 8 hours later, 2.5 hours after the previous photo though. It started to look a bit better with time. The weird dryness went away, but my skin was still a bit oily. 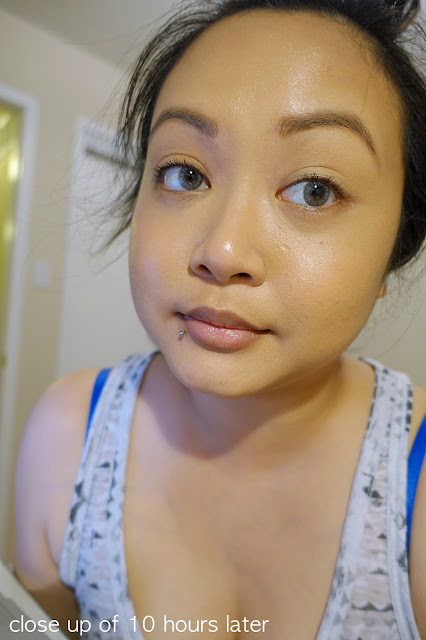 It didn't feel that oily though which is why I didn't mind keeping the foundation on. Total 10 hours later, 2 hours after previous photo. Face looks basically the same. 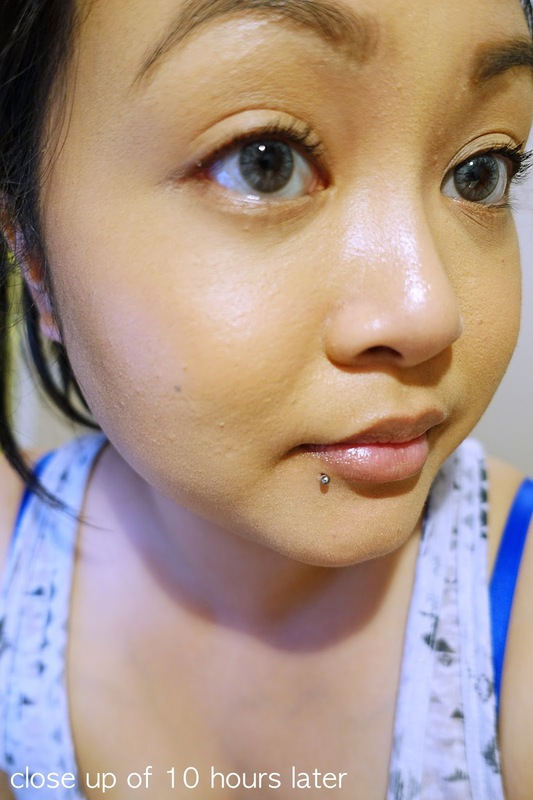 Close up, a little bit more oil peaking through, especially on my cheeks. The gross dryness definitely was gone by the end of the night, but the oilyness remained the same. 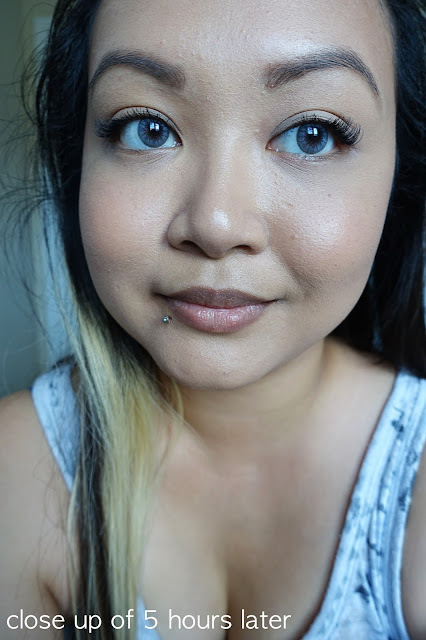 Usually I would blot my face mid day to get rid of the oilyness, but I wanted to see if the oilyness would get rid of the dry look. It did. 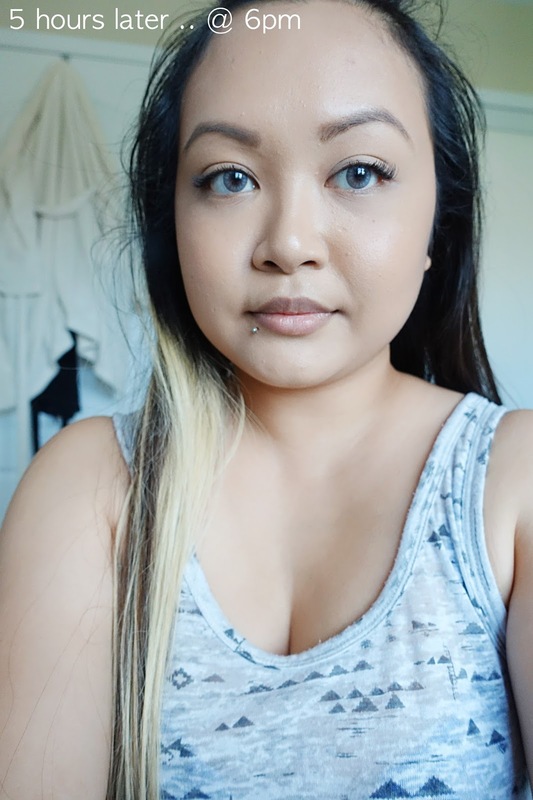 Would I wear this foundation again? Nope, not a chance. Would I try it in super humid weather? Maybe? It seemed to look better the oiler I got, which was kind of weird and gross. I don't know, I'm still on the fence with this foundation. 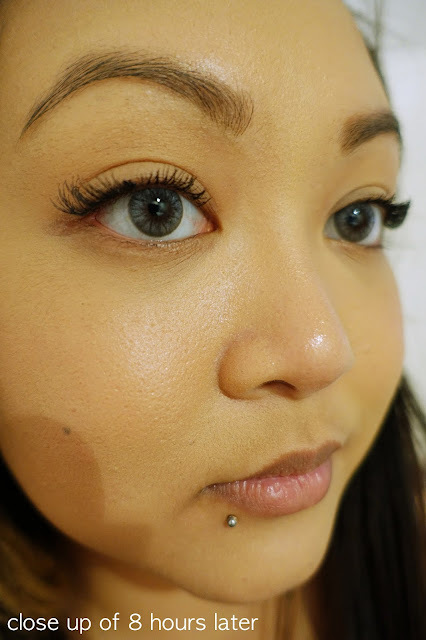 Have you had weird experiences with new foundations?